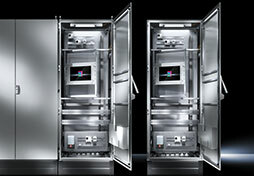 You’ve known Rittal quality in Wallmount Enclosures for years. Now you can get the industry’s highest-quality enclosures in over 100 standard sizes, available in both carbon and stainless steel. And, with our American manufacturing plant located in central Ohio, you won’t have to wait for the perfect Rittal enclosure you need for your facility today. 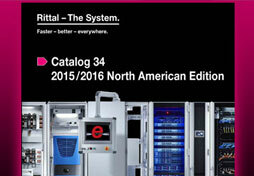 Join the Rittal Fan Club. Here’s an enclosure disclosure: hot spots are definitely not cool for protecting sensitive electronics from failure or plant shutdowns. So rely on Rittal fans and filters to provide the energy-efficient, controlled air flow your wallmount and rack enclosures have to have. Find out why so many customers are fans of our fans. 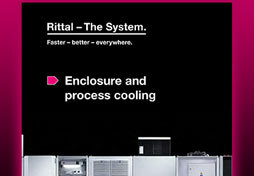 Only Rittal has the advanced climate control technology to help you save up to 75% in energy costs. Temperatures are rising outside the plant and inside your enclosures. So it’s time to for a cool appraisal of whether your air conditioners are up to the task of protecting your critical electronics and avoiding production shutdowns. There’s clearly no better place to start, backed by three decades of German-engineered climate-control technology, than with Rittal’s new air conditioner systems that save up to 45% in energy costs. The TS 8 has sold more than 10 million units to-date around the world and is one of Rittal’s most popular enclosure products. Available in carbon, 304 and 316 stainless steel varieties for various environments, this enclosure cabinet has the ability to bay with other cabinets on all sides, can be assembled by one individual, and has a remarkable number of configurations possible for internal electronics placement. You can even order your TS 8 with pre-configured accessories already installed and ready to go to work at your facility. It’s time to meet the freestanding and outstanding TS 8 enclosure. From Wallmount Enclosures to highly adaptable modular systems, you can learn and purchase with confidence with our latest product catalog. Understand the calculations and best practices for thermal management in today’s densely packed enclosures with this Rittal Handbook. Modular TS 8 enclosures in carbon and stainless steel bay together on all sides and have tremendous frame strength to hold internal electronics. Learn more today. US President Barack Obama and German Chancellor Angela Merkel paid tribute to the innovative strength of the Rittal company during a state visit and the opening of Hannover Messe, the world’s largest industrial technology fair. Rittal, the world’s largest electrical enclosure manufacturer, has a new addition to its acclaimed TS 8 freestanding enclosure series. Constructed of 316 stainless steel, this TS 8 is the most rugged and durable yet and is an ideal freestanding enclosure solution for harsh-environment applications. Rittal Systems Ltd has introduced a new refrigerant-based rack and row cooling solution, known as LCP DX, for heat removal of critical IT components.